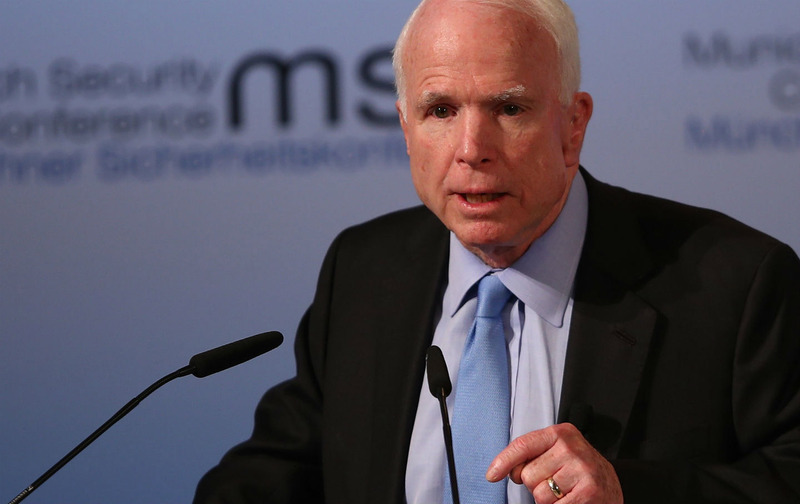 John McCain and Lindsey Graham have been urging Ukrainian soldiers to break the Minsk cease-fire agreement. Meanwhile in Munich, Vice President Mike Pence, Secretary of Defense Jim Mattis, and Secretary of Homeland Security James Kelly all pledged eternal fidelity to NATO, while Russian Foreign Minister Sergei Lavrov observed (correctly) that the alliance has “remained a Cold War institution.” The West’s blinkered insistence on the relevance, to say nothing of the appeal, of the alliance, particularly among the population of prospective members like Ukraine, has been studiously ignored by transatlantic security confabs like the Munich Conference for some years now. And yet Western politicians, and that peculiar species known in Washington as “defense intellectuals,” might do well to consider the results of a recent Gallup poll that found that 35 percent of Ukrainians view NATO as a threat, as against 29 percent who see it as a source of protection and 26 percent who see it as neither. A push for peace is all the more urgent given the uptick in fighting in eastern Ukraine in recent weeks, caused by what many have described as a “creeping offensive” by Kiev to take and hold rebel-held territory along the cease-fire line. One could be forgiven for wondering if there is any precedent for such an incitement to violence by two sitting US senators? Meanwhile, the US Army has established what it euphemistically calls a “Joint Multinational Training Group” in Yavoriv, Ukraine, for the express purpose of providing “defensive and security training for up to five battalions of Ministry of Defense forces per year” until 2020. The presence of American troops in Ukraine arguably represents the most serious obstacle to a peaceful settlement of the conflict, and yet the establishment of an American army base on the territory of a non-NATO country on Russia’s border has received no media coverage and zero congressional scrutiny.